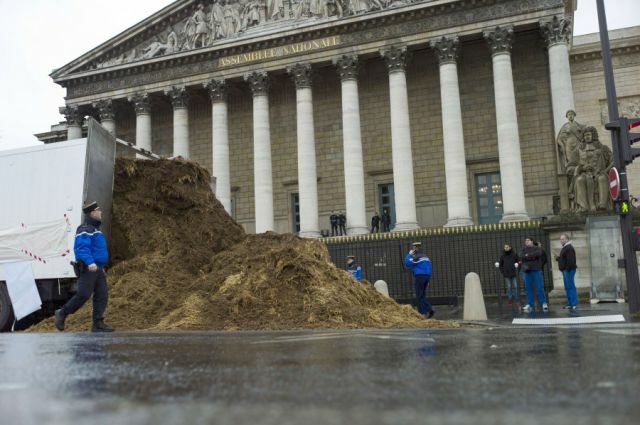 This person decided to find his own way of protesting against the French president in Parliament by doing something very unusual. 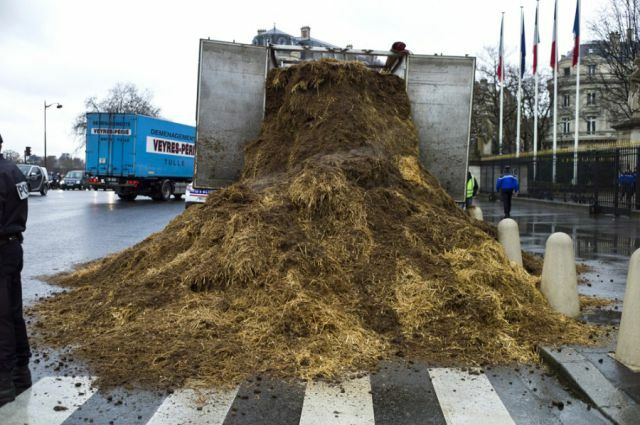 He dropped a truck load of manure outside the National Assembly where parliament were having a meeting creating quite a stinky mess! He's lucky he's able to do that. 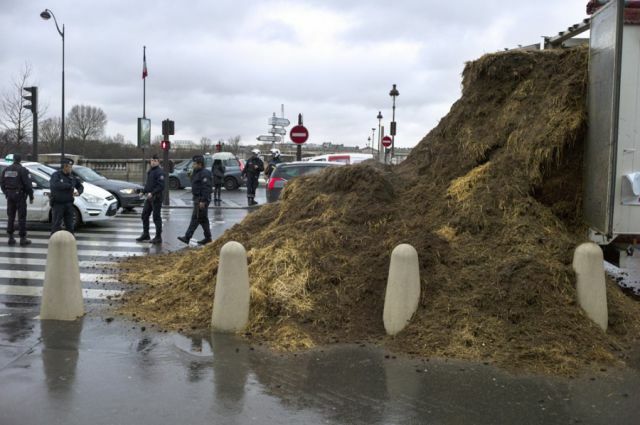 In the USA, that would be considered an act of terrorism (since manure can be used in the manufacture of some explosives). He would have been charged with domestic terrorism by the NSA and most likely locked away for many, many years. Fox news (the most balanced news source) would have reported that "we are all now much safer since this terrorist is in custody" and the USA would breath a collective sigh of relief, knowing that our government overlords are always watching out for us. Is this unusual in France?? I think I've heard of several similar incidents before. These pictures had been taken too late, after the police hides the message wrote on the truck. 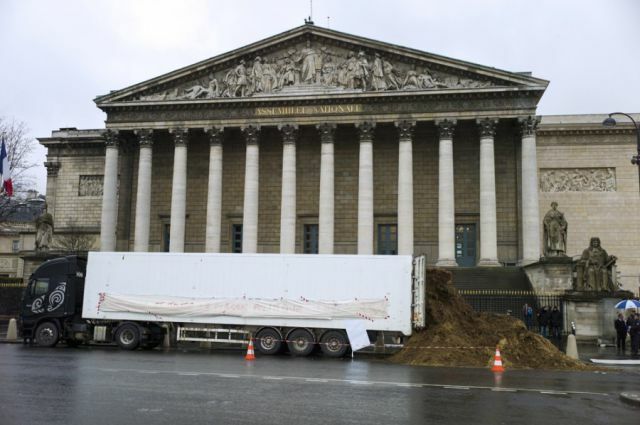 The message was : "Hollande et toute la classe politique dehors !" For a minute there i thought they had a raise your hands day going on.